ZWILLING J.A. 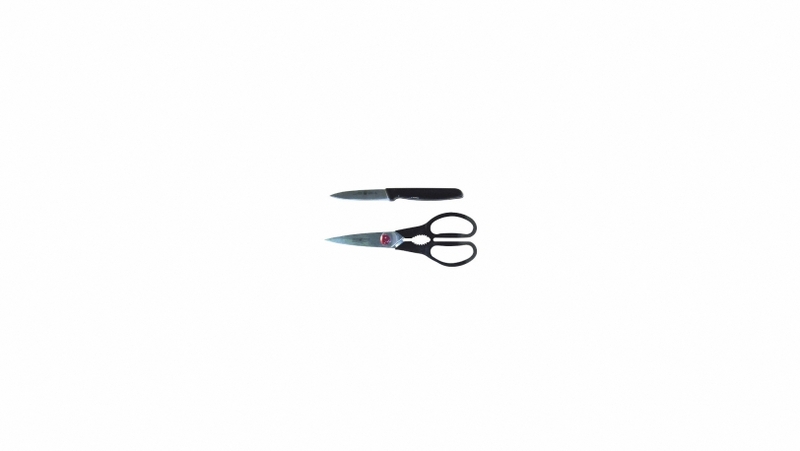 Henckels TWIN L Kitchen Shears handle every kitchen cutting task with ease. Whether snipping herbs, cutting foods or safely opening packages, these shears are up to the task. The stainless steel blade can be sharpened and the shears are dishwasher safe (hand wash recommended). Includes a TWIN paring knife.